From April till the end of June, FEANI engaged with Mr. Gustavo GONCALVES and Mr. Antonio RIBEIRO two Portuguese BEST-representatives as interns who remotely redesigned our FEANI-Homepage and developed this Electronic Newsletter in MailChimp. We thank them for the excellent work done. National Members are invited to forward any suggestions or comments to both the Newsletter and the new FEANI Website in the following weeks to ensure we take your opinions into account and make both even better. Also the convergence of the FEANI INDEX-database with the ENAEE EUR-ACE database is ongoing under the project leadership of the company MES (Microcomputing Engineering Software) of which its CEO, Mr. Karel DE WEVER, is the former EMC-member from Belgium. If everything goes according to schedule we should be able to proceed with a testing phase of the new “European Engineering Education Database” in October 2017. In addition, the FEANI Service Agreement with ENAEE was extended in services, compensation as well as in time. The agreement is now valid till the end of 2018. 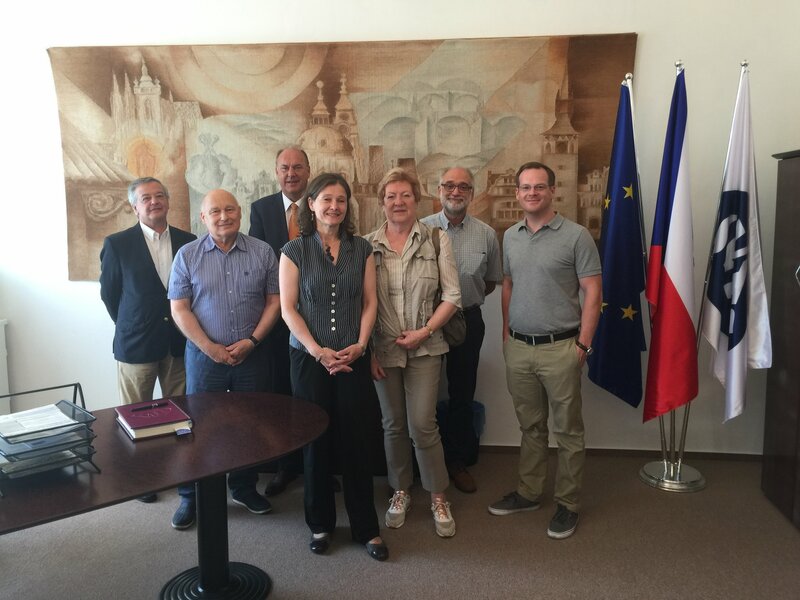 In the previous months preparatory meetings were held with ECCE and ECEC in Vienna regarding the organization of the “Third European Engineers Day” which will precede our this year’s FEANI General Assembly, on 5 October. Registrations for the event, which is free of charge, can be made under : http://engineers2017.eu/engineersday2017 . Key-note speaker from the side of FEANI will be Mr. Philippe Baron de BUCK, former CEO of BUSINESSEUROPE and member of the European Economic and Social Committee. Theme of this year’s event will be to focus on the Challenges of Engineering Excellence and to get an input from industry, rather than providing an input to the EU policy makers, as was the case at previous editions. On 2 March, FEANI held its first meeting of the FEANI National Members’ Forum (NMF) in 2017 under the Chairmanship of Mr. Trond MARKUSSEN (NO). The NMF decided on the initiative of Finland to set up a “Social Media Discussion Group on Career Services” via the FEANI LinkedIn account. More than 30 participants from 18 countries took part in the meeting at which also a presentation was delivered by Prof. Greet LANGIE of the KU Leuven on the ERASMUS+ “Knowledge Alliances” funded project “PREFER” : “Professional Roles and Employability of Future Engineers”, (http://cdn.flxml.eu/r-de4d31d0180b0cd38c96590c2c3ec985 in which FEANI together with some of its National Members (IRL, BE and NL) are project partners. Other EU-projects under ERASMUS+ in which FEANI is involved as associate partner relate to the “EU STEM Coalition” (http://www.stemcoalition.eu) of which the General Assembly was held on 17 May 2017 in Tallinn (Estonia). Also this project attracted the attention of FEANI National Members as a taskforce meeting was organized by the Association of Nordic Engineers (ANE) in collaboration with the EU STEM Coalition on 3 March. The objectives of this meeting were to map opportunities and clarify the needs in Sweden, Norway and Denmark in establishing the national STEM platforms and developing national STEM strategies. Finally, a third EU-funded project under ERASMUS+ in which FEANI participated and which is now being finalized under the leadership of VDI (Germany) relates to the “Creation of a System for the documentation and validation of non-formal and informal learning”. FEANI National Members of CZ, SI, HR and the University of Porto were the other partners. The final report is expected to be published in August-September 2017. It is – amongst others - through our involvement in these projects that we established and convened two meetings already with representatives of BUSINESSEUROPE last January and April. These contacts will be further explored and be valuable in the establishment of our “FEANI Industry Advisory Group”, a new Working Group under the auspices of FEANI which will aim to attract the involvement and opinions of other stakeholders (industry, policy makers, professional organizations, academia). We will report more in detail about this Working Group, its scope and membership in our next Newsletter (October 2017) and after our FEANI General Assembly. FEANI took part at the “7th University-Business Forum” on 6-7 April in Brussels and in the Workshop of the European Economic and Social Committee on “Making Inclusion Work : How work based learning can bring excluded groups closer to the labor market” on 25 April in the framework of the “New Skills at Work”. Prof J. SUCHY, our National Member from PL (NOT) and Internal Auditor, represented FEANI at the General Assembly of BEST in Wroclaw on 27 April and spoke about “Influence of International Organizations in Europe : the Way Forward”. 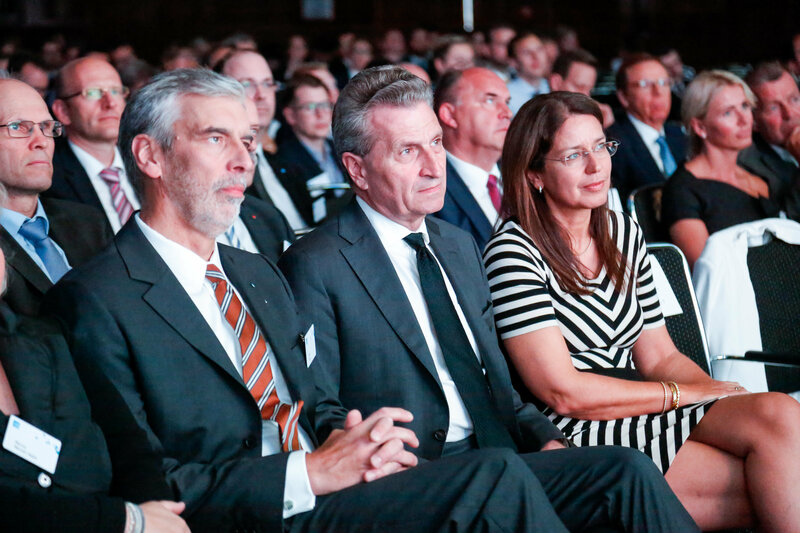 VDI from DE organized the German Engineering Day in Düsseldorf on 11 May at which Commissioner Günther OETTINGER gave the Key-note speech. Prof. A. SOEIRO (our FEANI EMC-Vice Chair) spoke at the “European Business Summit” (22-23 May) on “Universities : their Role in Economic Development”; we also made a presentation about FEANI and the EUR ING to the IREG Observatory Working Group http://ireg-observatory.org/en in Bremen on 15 May which dealt with “Academic Engineering Rankings”. 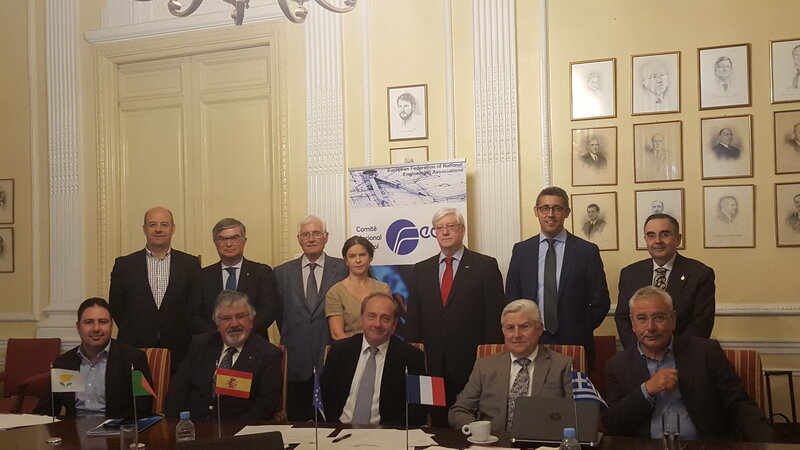 Later that month the FEANI Southern Region held its meeting in Madrid with the participation of FEANI National Members from PT, ES, CY, GR and FR. It had not convened since 2014. 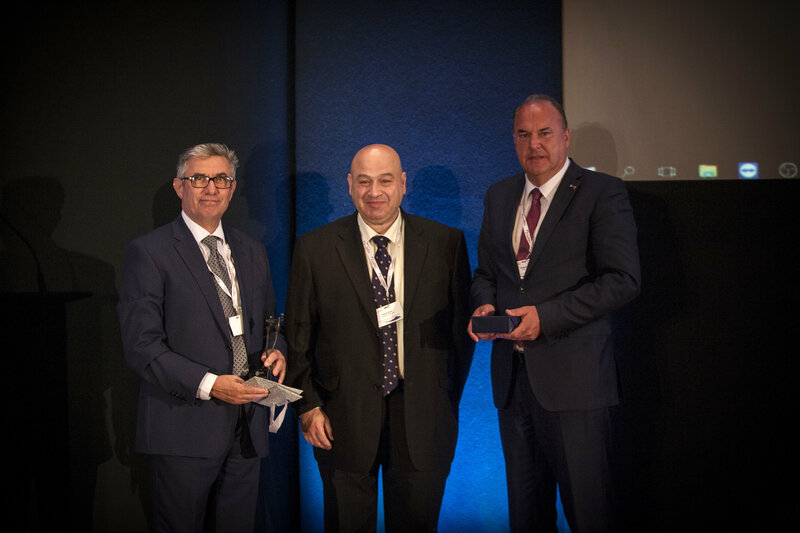 At the same time on 25 May, our Maltese National Member held its 25th Annual Engineering Conference on “Core Values for Engineers in Europe” in La Valetta. 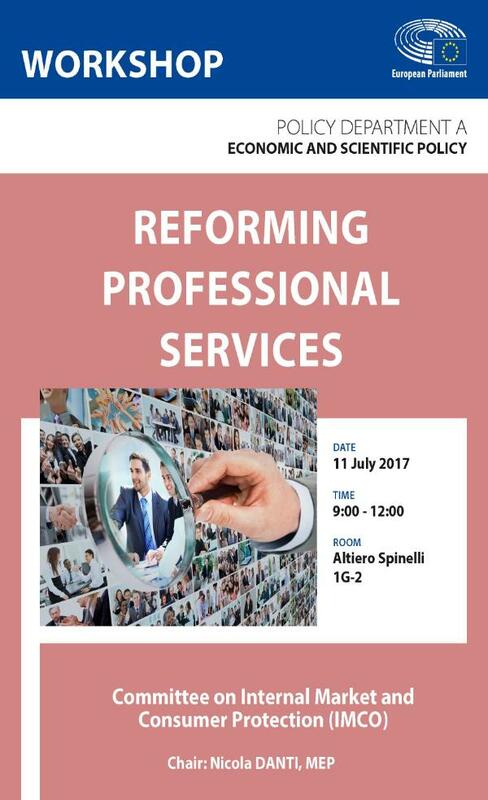 FEANI also participated at the United Nations “45th Industrial Development Board” in Vienna (27-29 June) and was invited for a Round-Table intervention at a workshop of the EU Parliament IMCO on the subject matter of “Reforming Professional Services” on 11 July 2017. 1/ EU Council : herewith the program of the Estonian Presidency of the Council of the EU (1 July-31 December 2017) can be found, outlining the issues and values that Estonia wishes to focus on over the next six months. "Estonia is ready for the Presidency. We are ready to lead a union of 28 states, which is home to more than 500 million people. The program that was approved today reflects our wish to keep the European Union united, strong and forward-looking. Unity means supporting European ideas, principles and goals, but also making sure that no one feels left out or left behind," said Estonian Prime Minister Jüri Ratas. "We wish to guide Europe towards decisions that bring tangible improvements to people's lives." First, Estonia feels that an attractive business environment and functioning trade partnerships help stimulate job creation and the economy. Cutting down on excessive bureaucracy, and making it easy to do business is essential for an open and innovative economy. 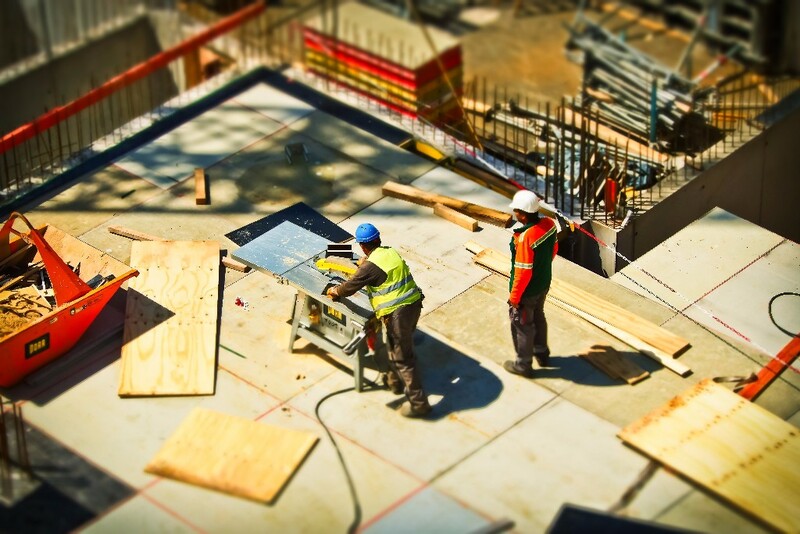 Supporting economic growth and job creation means taking full advantage of the potential of the single market. Scientific research must also be supported to keep Europe open to innovation and new technologies. Integrating EU energy systems and markets is vital for ensuring a secure and affordable energy supply for consumers. Second, the Estonian Presidency values the security and safety of Europe. A Europe without internal borders requires joint solutions in security and external border policies, as well as in migration and asylum policy. In many ways, security is reliant on modern IT solutions and databases, and closer cross-border cooperation. During the Estonian Presidency, Estonia will make an effort to reinforce surveillance over Europe's external borders, and hopes to contribute to providing security, peace, and stability in the EU's immediate neighborhood and beyond. Third, Estonia considers it important to develop the digital society, the precondition of which is the free movement of data. Quick, high-quality and available internet connectivity is one of the cornerstones of a smart, data-led economy. The EU is at an early stage in developing a data-led economy. The Estonian Presidency will emphasize that digital society needs to be developed in all aspects of life. Fourth, the Estonian Presidency deems it important to stand for an inclusive Europe, where equal opportunities are ensured for all. This means supporting a better balance in work and family life, increasing the opportunities for young people, as well as expanding volunteer activities. Estonia finds it important to promote a cleaner living environment, which can be ensured with the help of a green economy and implementing the agreement on climate change. 2018 EU Budget: MEPs adopted a resolution on the 2018 budget mandate that suggests investing in research, innovation, education, SMEs and infrastructure would generate growth, jobs and ensure citizens’ security. The resolution was voted by 445 to 144, with 80 abstentions. MEPs welcome an increase in the budget of Horizon 2020, the Connecting Europe Facility and Erasmus+, and noted the EU initiatives in the field of defence research. Siegfried MUREȘAN (EPP, RO) is the Parliament’s rapporteur. The Council will present its position and the first talks between Council, the Parliament and the Commission on the 2018 budget are expected to be held by 13 July. Fight against fraud directive: MEPs endorsed the directive, after lengthy negotiations, on common definitions for fraud-related crimes against the EU budget. Member states now have two years to apply the measures of the directive excepting Denmark and the UK who have opted out. Ingeborg GRÄßLE (EPP, DE) and Juan Fernando LOPEZ AGUILAR (S&D, ES) are the rapporteurs on the directive. EU-Cuba deal: The Parliament backed the political dialogue and cooperation agreement by 567 votes to 65, with 31 abstentions. The agreement includes expansion of bilateral trade, economic cooperation and joint action on the world scene. Elena VALENCIANO (S&D, ES) is the rapporteur of the report. Evaluation of the Maltese EU Presidency: A discussion on the achievements of the Maltese presidency was held on Tuesday. President Juncker took part in the debate, but after noticing the low attendance of MEPs got angry, saying that Parliament is ridiculous and that he would never attend another meeting of the kind. President TAJANI fired back, defending his House and urging Juncker to show respect, while also reminding him that Parliament controls the Commission and not the other way around. JUNCKER regretted his words later and apologised in a letter to the Parliament President. Estonian EU Presidency: The deputies discussed and welcomed the priorities of the Estonian Presidency on the innovation and digitalisation with prime minister Juri RATAS. However, they also addressed the importance of other issues, such as the climate change, the refugee crisis and the social inequality. EU-Turkey accession talks: The Parliament voted to officially suspend the accession talks if proposed changes in the Turkish constitution go ahead, as they are not in lined with the EU membership criteria. The report, drafted by Kati PIRI (S&D, NL) was voted by 477 to 64, with 97 abstentions and highlighted the importance of maintaining good relations and an open dialogue between the two parties. Tribute: MEPs paid tribute to Simone VEIL, the first directly elected President of the European Parliament, who died last week. Sustainable development goals (SDGs): MEPs adopted a report by Seb DANCE (S&D, UK) calling on the Commission to be more ambitious in the implementation of the SDGs. European Council Meetings (Summit) are scheduled in Brussels, 19-20 October 2017 and 14-15 December 2017. On 18 July the Committee of the Regions (CoR) is organising a stakeholder consultation on “The European Pillar of Social Rights and Reflection paper on the social dimension of Europe”, followed on 20 July by the European Economic and Social Committee’s public hearing on the “European pillar of social rights”. On 26 July the Northumbria University is organising an international research conference on “Sustainable energy, engineering, materials and environment” taking place over three days in Newcastle, United Kingdom. Estonia will hold a high-level presidency conference “Future of Work: Making It e-Easy” in Tallinn, on 13-14 September, where participants are invited to discuss how to manage work in the digital era. The conference focuses on challenges related to working conditions, social security and skills. 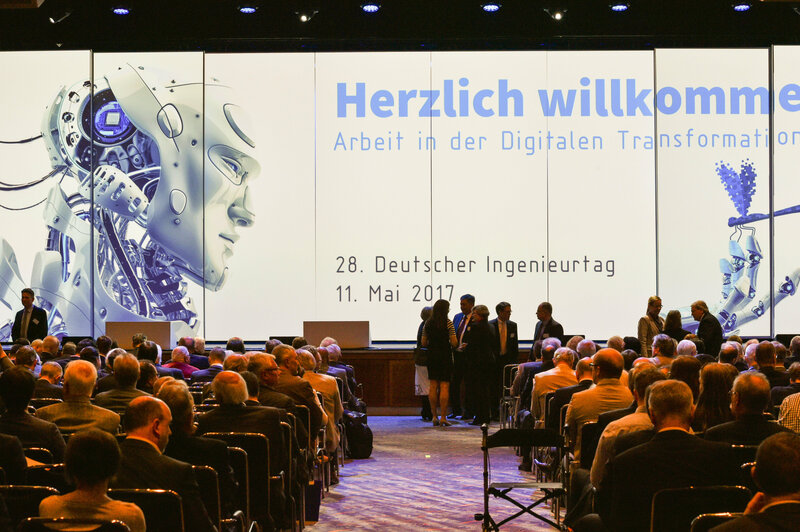 The high-level conference ' Future of Work: Making It e-Easy ' is hosting 400 participants and over 30 speakers . The conference will be opened by the President of Estonia, Kersti Kaljulaid, and General-Director of International Labour Organisation, Guy Ryder . Confirmed speakers include representatives from the European Commission, the Organisation for Economic Co-operation and Development (OECD ) and ministers from across Europe. In addition, distinguished representatives of the social partners, research and business communities will contribute to this conference. Among others, leaders from European Trade Union Confederation (ETUC), BusinessEurope, Google, LinkedIn, Alison, Jobbatical, eCampusOntario, and the McKinsey Global Institute will share their insight on the future of work. The target audience of the conference includes officials and experts in the field of labour and employment as well as social affairs, education and e-government, experts from public and private sectors, social partners and high level public officials from European Union institutions, and international organisations. On 20 September 2017 EuroTech Universities Alliance is organizing a High Level Event in Brussels: “From excellent research to excellent innovation - are universities ready for the future?” You can check their website here.